Whitewater Creek BBQ Sauce is packaged in 16 oz. glass bottles. Bulk containers are also available. The sauce features a Black and White label. It's a familiar dark red through the glass. The thickness can be characterized as medium - thin. It pours smooth and quickly from the bottle. I used Whitewater Creek BBQ Sauce on BBQ chicken last weekend and later for meatballs served at our Super Bowl party. Like many of the other Georgia made sauces that I've sampled, Whitewater Creek has a ketchup and vinegar base. The sauce is fairly sweet and finishes with a zippy vinegar and pepper tang. Where Whitewater Creek stands out is with it's inclusion of various earthy spices. Tamarind, mustard, anchovies, paprika, tumeric and oregano blend with the core ingredients to compliment and balance the sweet and tangy flavors. The sauce, though relatively thin, was fantastic when brushed on BBQ chicken as it finished. The tang mellowed a bit when the sauce hit the flame, but still provided a great deal of flavor to the smoked poultry. I loved the sauce with the meatballs as well. The beef / pork mixture was full of garlic and savory flavors. The sweet, tangy sauce was a great contrast with the meat. The texture coated the meat well. Whether poured over the meat or used as a dip, Whitewater Creek BBQ Sauce worked well. Whitewater Creek is the type of sauce that I like to keep on hand. It's a great change up from the Kansas City style sauces that typically line the shelves of my pantry. I find myself reaching for thinner, tangy sauces more and more all the time. Whitewater Creek is definitely one of the best "tangy" sauces I've had. 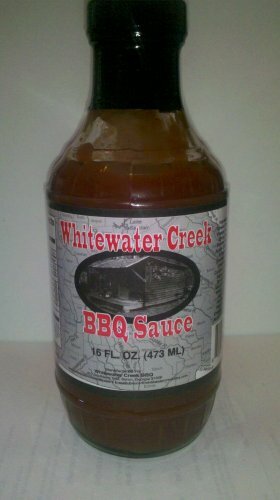 To order Whitewater Creek BBQ Sauce, click here. You can also find them on Facebook. See how Whitewater Creek BBQ Sauce rates on our "Product Reviews" page. 4 Response to "Whitewater Creek BBQ Sauce"
I have been eating bbq pork, chicken, and deer cooked with WWCreek sauce for nearly 30 years. I have helped whip up a few batches of it when we had a hog-killin'. The picture of the old building on the label is actually sitting on the banks of Whitewater Creek. I said all that to say that Jason (and Heather) is the real deal. He knows BBQ. He uses the sauce, and has been in on the development of it since he "weren't no bigger'n a squirrel." I love cooking chicken and pork without sauce then dipping it in White Water Creek sauce. I also like adding it to pulled pork sandwiches. I really like the black pepperish zip it has. I like that it's not one of the thick sugary sauces so if you do put it on the grill it doesn't burn so fast. 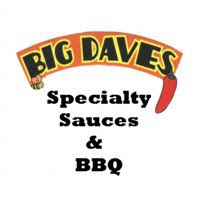 GREAT SAUCE!!! I posted this then noticed a couple of typos so if it's up twice, sorry. I love to bbq and do it often, at least once a week and Whitewater Creek sauce has become my number 1 sauce. Its not too thick and sweet, but has the correct consistancy to baste with and a nice spicy flavor. I have enjoyed the sauce for 37 years at the Allman's camp on Whitewater Crrek and it's about time they bottled that sauce. This was a great review. Thanks for the good words.